Do you think you know this town? Its landmarks, its nooks and crannies. You sit on the groynes and drink in its taverns. Well, you know nothing….! You know not of what sits in the dark, in the sea spray and its mysterious legends. Things that have been here for years, seen by few but known by many. There are truths to be told of this old town, truths you must face. So open your mind, and step inside the archives of Weird Whitstable. Are you prepared to believe? 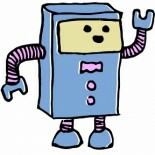 This entry was posted on 13/02/2013 by Creatabot in Creative and Art Events.